Extending credit to your clients is a practice best handled with care. When done right, it immensely improves the financial health of your business. When done wrong, you’re doomed to suffer great losses. Aside from exercising due diligence when selecting which customers to offer terms, Freshbooks found that how you word the “terms” section of an invoice impacts the percentage of invoices you collect on and the number of days it takes to get paid. “Net 30” is a credit term used in business to signify that the full amount a client owes is payable within 30 days, including weekends and holidays, upon goods shipment or job completion. To encourage customers to pay earlier than the prescribed 30 days, some suppliers offer discounts, such as “2.5% 10, net 30,” which can also be written as “2.5/10, net 30.” What this means is the full amount is still payable within 30 days. But the client only needs to pay 97.5% of the amount, if paid in full within 10 days. “Due in 30 days” is just that – payment that’s due within 30 days. 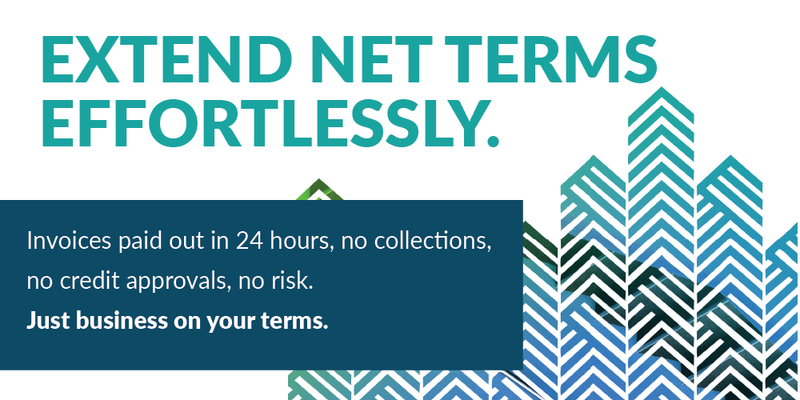 Between “net 30” and “due in 30 days,” the latter may be easier for less business-savvy customers to understand. “Due upon receipt,” while commonly used, can be interpreted as “not urgent” because it doesn’t identify an exact timeline. Incentivize customers who pay early. You can offer 1% or 2% discounts for early payments. Make sure this is explained in the invoice. Other incentives to consider include gift checks, free service or merchandise, and future credits. So clients understand that you strictly intend for them to adhere to agreed-upon payment terms, charge an interest fee for late payments. Ensure this is explicitly explained to your customer, included in the credit contract, and referenced in the invoice. Aside from the usual methods of payment (e.g., cash, check, credit/debit card, or bank transfer), give your customers the ability to pay you online via services like PayPal or Stripe, and other payment gateways. Courtesy goes a long way. The same Freshbooks study referenced above found that adding “thank you” and “please” to your invoices increases your chances of getting paid by more than 5%. With credit management services like Apruve, you need not worry about using the terms “net 30” and “due in 30 days” in your invoices. It’s because Apruve gets you paid within 24 hours you issue any invoice. No need to wait for 30 to 45 days, immensely improving your cash flow as a result. Built to handle the entire credit management process, Apruve vets the customers you issue credit to, taking on the risks involved so you don’t fall victim to fraudsters. Want to minimize the time you wait for payment? Contact Apruve today.